SINGAPORE, Sept. 5, 2018 /PRNewswire/ -- CoinTiger crypto exchange (www.cointiger.pro) announced that it will introduce an equity mechanism to its indigenous token TigerCash (TCH) today, which makes TCH the first security token of a crypto exchange in the world. This provides TCH holders with dividend options and other features associated with investments in securities. Through this big step, CoinTiger hopes that a commitment of nearly 90% of the existing shareholder interest will drive further expansion and create a POW-based equity distribution mechanism to investors, thus unlocking the potential of the company. CoinTiger is a reputable digital exchange that strives to provide crypto enthusiasts with stable, seamless and secure trading services. 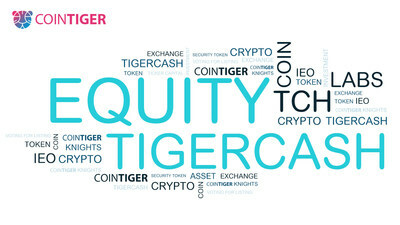 Since its official launch on November 15, 2017, CoinTiger continues to demonstrate a significant commitment towards quality financial service delivery, hence it has established a robust crypto trading ecosystem which is accessible via web, iOS as well as Android apps and also offers allied services including Voting for Listing Programs, Ticker Capital, Labs and IEO amongst others.